Arthur (b. 1187), Duke of Brittany, falls more under King Philip of France’s influence after the death of his mother Constance of Brittany in September 1201. Philip offers Arthur the hand of his infant daughter and bestows knighthood on Arthur. In July 1202, Philip sends 200 knights with Arthur to attack Poitou. Joined by an additional 300 knights from the Lusignan and de Maulfon troops, Arthur attacks the castle at Mirebeau where Eleanor is staying. 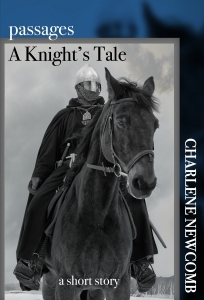 Eleanor gets word to her son King John, who with his men, marches 80 miles in two days to rescue Eleanor. It is the beginning of the end for 15 year old Arthur. Norgate, Kate. (1902). John Lackland. London, New York, Macmillan.